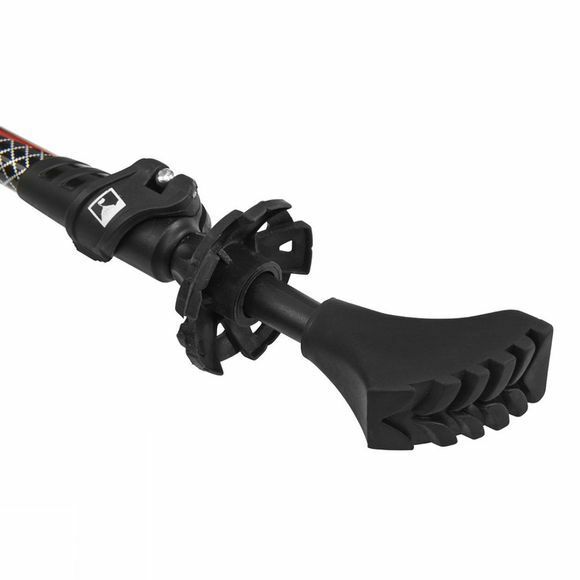 The Speed Hike Trekking Pole is lightweight, adjustable and designed for nordic walking. 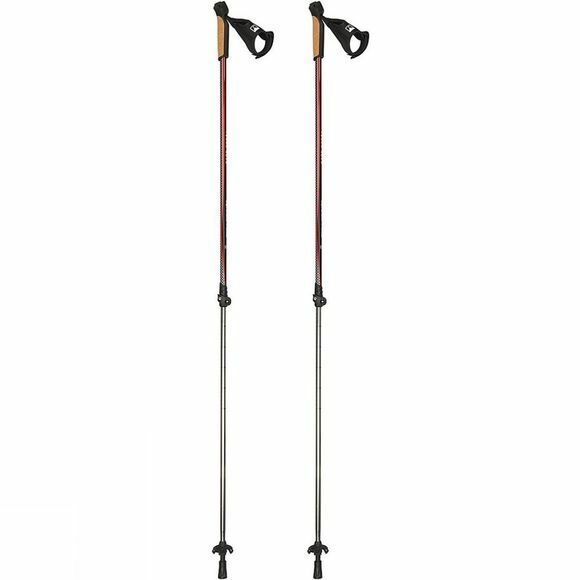 Terra Nova trekking poles are designed to be as light as possible and use aluminium alloy 7075, because of its strength-to-weight ratio, to achieve this. Their low weight means you have more energy available to enjoy your chosen activity. This two-section pole is easy to adjust – even when wearing gloves, thanks to the clip lock system which holds the sections firmly in place when closed. The clips can be quickly opened allowing the pole to be adjusted with minimum fuss. The lightweight, comfortable EVA handle has a shaped padded, neoprene wrist strap for added security and comes with a removable trekking basket and protective rubber ferrule for the tungsten tip.